Fazaia Housing Scheme Karachi – a project of the Pakistan Air Force – has enticed investors from across the country. In this vein, many people purchased registration forms in bulk, traded them and tried to manipulate the market, but to no avail. For this, I must commend the administration before I get on with my post. You see, the developer played its part very well and introduced ‘booking’ to sift the genuine buyers from the manipulators. Members were required to apply for booking if they were really interested in owning an apartment in the locality. I know for a fact that many did not proceed to this stage. Yet, I do not intend discuss manipulators in this post, even though gambling was at its peak until recently. What I would like to discuss is some good news for those who applied for booking: Fazaia has announced the balloting date for standard and luxury apartments! 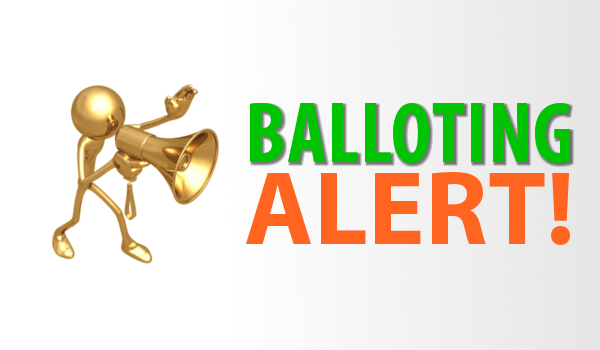 Take note, everyone – on October 13, 2015, at 5 pm, the awaited balloting will take place. The administration has publicised the date in newspapers while thanking members for showing colossal interest in booking. Sounds too good to be true? Well, there is a small catch here: the developer has revealed that the booking applications have exceeded the number of apartments to be allotted, which means that many people will fail to make the cut come balloting day. Only those members who applied for booking have been invited to attend the balloting event and they are required to bring their original CNIC and booking slip along. Those who are unsuccessful will be refunded the booking amount. Reportedly, the developer will start the refund process within a week from balloting. We’re on the edge of seats wondering how many members will win apartments on October 13! Members who have not applied for booking don’t need to worry, as their registration slips are still valid for upcoming projects of Fazaia Housing Scheme Karachi. According to the official website of the developer, these projects include studio apartments, a shopping mall, commercial & residential plots and bungalows. However, no further details have been disclosed about the launch of these projects. Please see the table below to get an idea of the current market rates of registration slips for standard and luxury apartments. *Please note that rates vary daily and depend on demand, which for the time being is pretty low. People should wait for the launch of new projects, which may create a sufficient impetus for prices of registration forms to spike. Until then, adhering to the wait-and-see policy seems like a good idea. That’s all about Fazaia Housing Scheme Karachi for the day. Rest assured, I’ll keep you updated about any new developments in the society via Zameen.com. If you have further queries in mind, let’s converse in the comments section below.